Lawmakers approved legislation Thursday that could create massive tax-financed infrastructure projects in Chicago and elsewhere across the state. The measure would allow for the creation of special taxing-districts, known as TIFs, to fund transportation-based development and redevelopment projects in Chicago and across the state. House Majority Leader Barbara Flynn Currie said her bill would stimulate transportation growth that benefits a city’s infrastructure. “Transit-oriented development is a really good idea because it encourages development in ways that reduces pollution, congestion, all the rest,” Currie said. 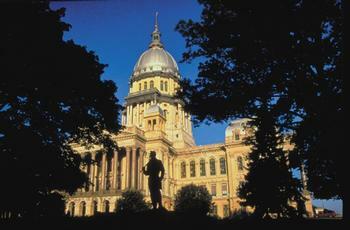 She said it could also qualify Illinois for up to $800 million in federal funds to be used on public transportation. State Rep.South-suburban Chicago Democrat Al Riley said the bill would set up a massive taxpayer-funded program with little oversight. Opponents of TIF districts said they take money intended for a taxing body and limit its use. This, in turn, could force a municipality to raise taxes to cover budget shortfalls. Certain TIF districts in this bill could be in place for 50 years.